I finally finished my washtub bass (Thanks Chris!) and decided to upload some pics . It took me 30~40 hrs to build over the course of 3-4 weeks (though i didn’t log it so I could be off). 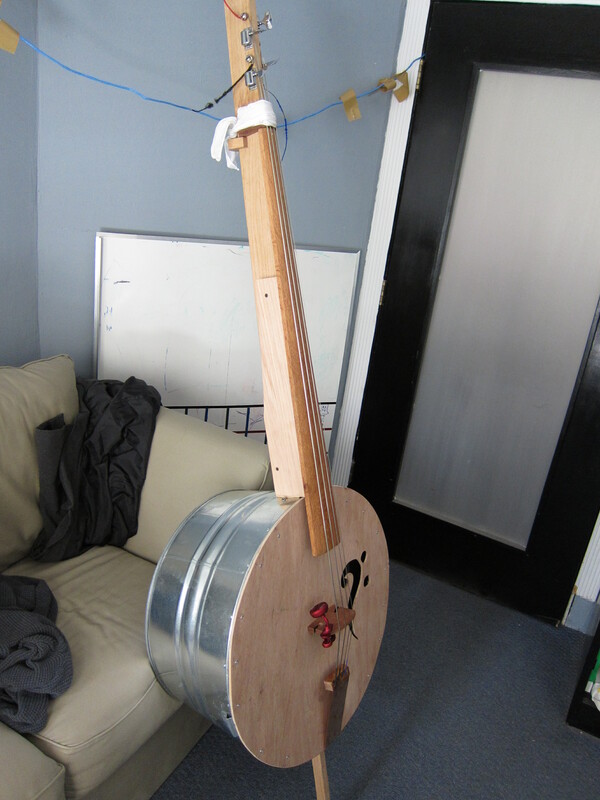 I based my design off of the washtub bass that Dennis Havlena built. The hanky at the top is functioning to keep the strings tight against the nut. Pretty much all the wood involved was red oak purchased at lowes / Home Depot. I got the steel flat-wound strings for 20$ on ebay. The copper tail piece I made out of a random piece of copper I had laying around. It sounds fantastic! Its hard to play because I am much more used the smaller scale lengths of electric bass, but I think it will allow me to accomplish my goal of playing and enjoying upright before buying one. 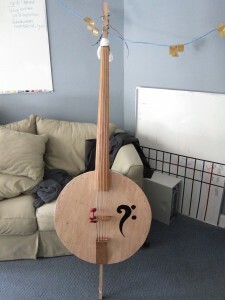 Looking for step by step on this BEAUTIFUL Bass!